Registry and the ISS library helpdesk were both unaware that an alternative timetable system existed. The day before semester two was due to start, Sunday, January 27th students were unable to access the normal timetable system. According to VP for Academic Affairs Registrar Aengus Gordon, the timetable experienced a technical glitch over that weekend. “This was resolved before start of business on Monday morning,” he said. He added that there would be no change to the timetable system. 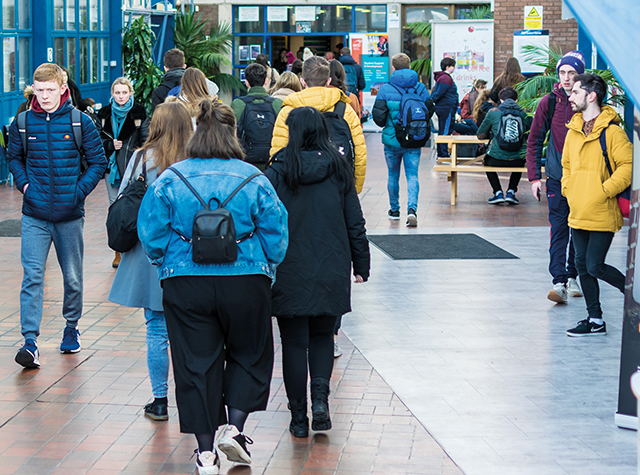 The alternative timetable system, Public Open Timetable (PTO), is being piloted by DCU, according to their website. The normal timetable will be available alongside PTO. Several students were affected by the timetable going down the day before the start of the second semester and the PTO was not a perfect substitute for everyone. Global business student, Avery Ildefonse, knew something was off with their PTO when it said their Spanish module would only last one hour when it was supposed to be three hours long. They asked several people in their course, but they had no idea what was going on either. After emailing a former lecturer, who forwarded them on to their module co-ordinator, they finally got an answer. “Turns out the one hour that was written on my timetable was for a group that I wasn’t a part of and none of my Spanish hours were on my actual timetable,” Ildefonse said. They mentioned how only three people showed up for a 9am Global Business (France) lecture. Their timetable had changed and most people were unaware as the normal system was down. Communications student Eimear Kelly was also affected. “The delay in getting timetables made it hard to plan my work schedule around college,” she said. However, she added that as she lives closer to DCU than most students, it didn’t affect her as much as others. A member of the ISS helpdesk in the library was aware that the normal timetable system wasn’t working before the semester started, but he was not aware of PTO’s existence. He also speculated as to how safe the PTO website is. “I’m not sure like, is this secure? Anyone can see the timetable,” he said. The Registry was similarly confused to learn that PTO existed and said they do not have access to timetables.